Attentive Safety CPR and Safety Training ​teaches on-demand, on-site CPR, First Aid, ACLS, BLS and Bloodborne Pathogens classes 7 days a week in Athens, Georgia. ​Attentive Safety CPR and Safety Training teaches on-demand, on-site CPR, First Aid, ACLS, BLS and Bloodborne Pathogens classes 7 days a week in Athens, Georgia. 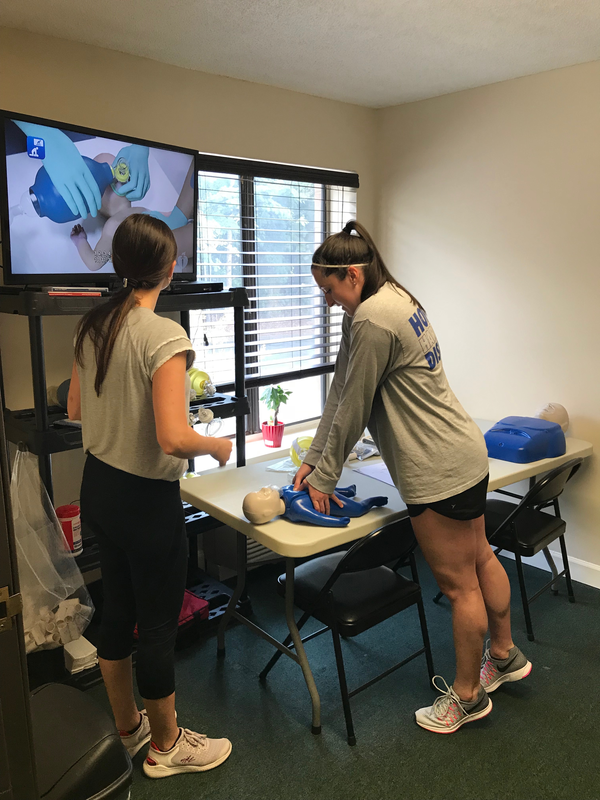 With the option to choose from in-person courses or take a blended Simulation Learning class that combines online learning with hands-on, in-person instruction, there's an Attentive Safety CPR class for the way you learn best. You can come to us or choose the time and place of your class, and we bring the classroom to you. There's no minimum number of students needed to set up a CPR class with us. ​We strive to provide a relaxed, friendly and stress-free learning environment. Take a CPR class with us in confidence! We are one of the largest providers of public CPR training classes in Athens, Georgia. Regular customers include Hospitals, Public School Districts, United States Military, EMS providers, and many others. We train upwards of 1500 students every month. Our classes are fun and complete, provide a two-year certification, and make use of only the most current training materials.